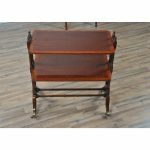 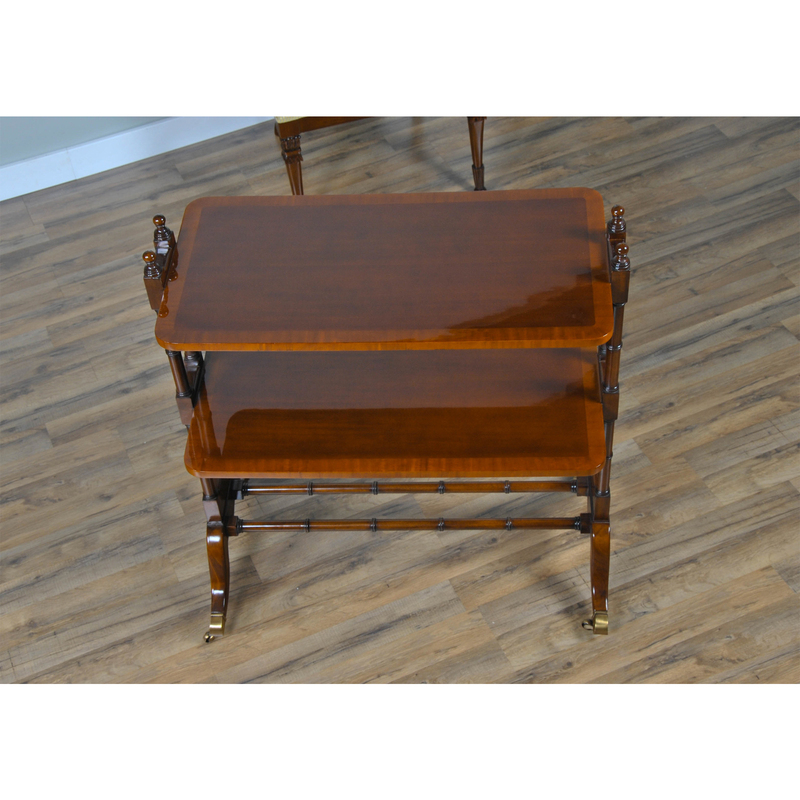 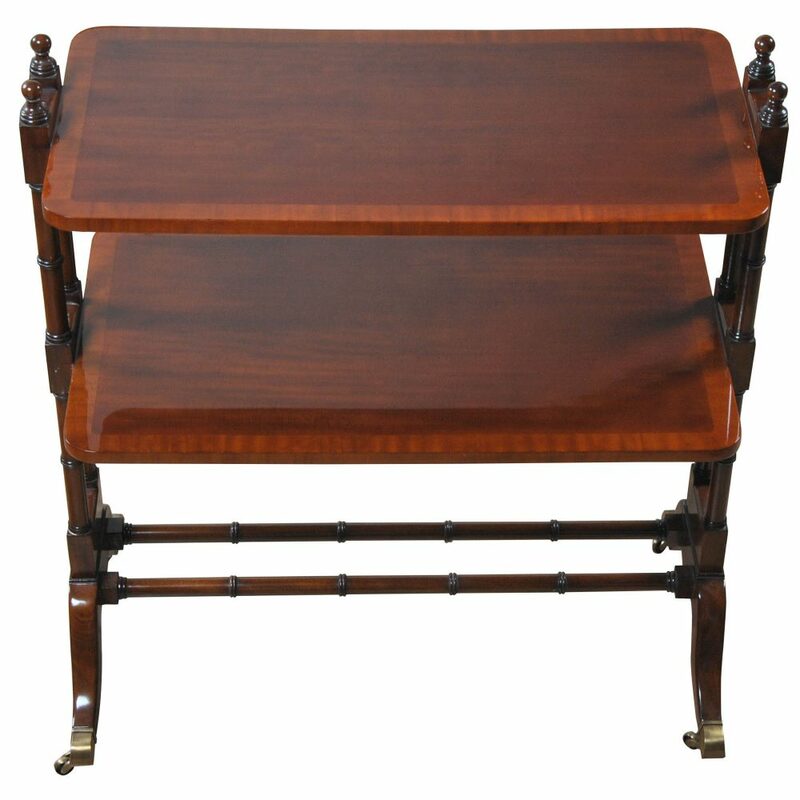 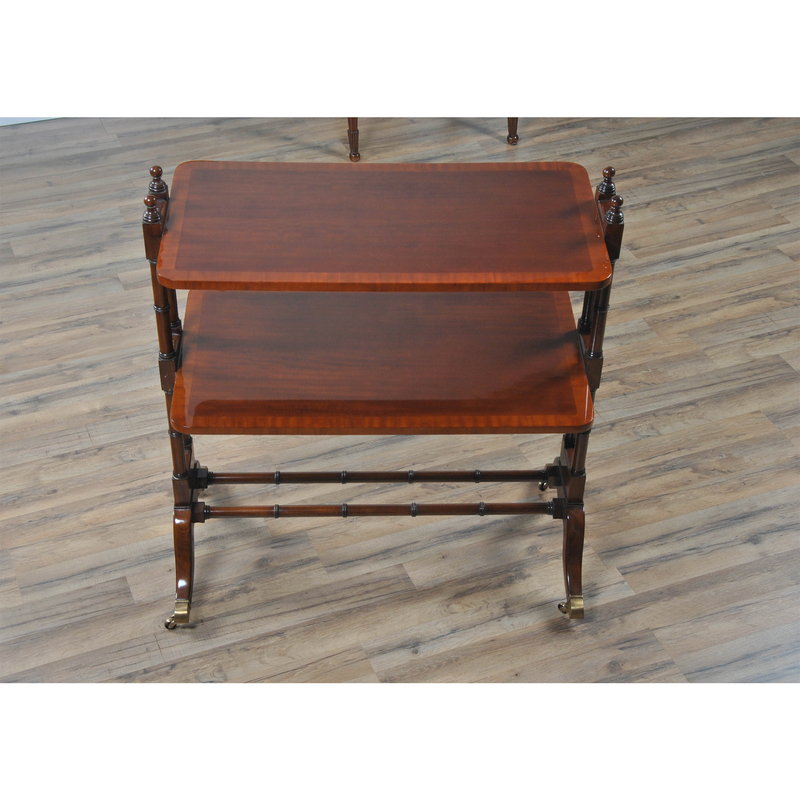 A two tiered Banded Serving Trolley or display cart from Niagara Furniture. 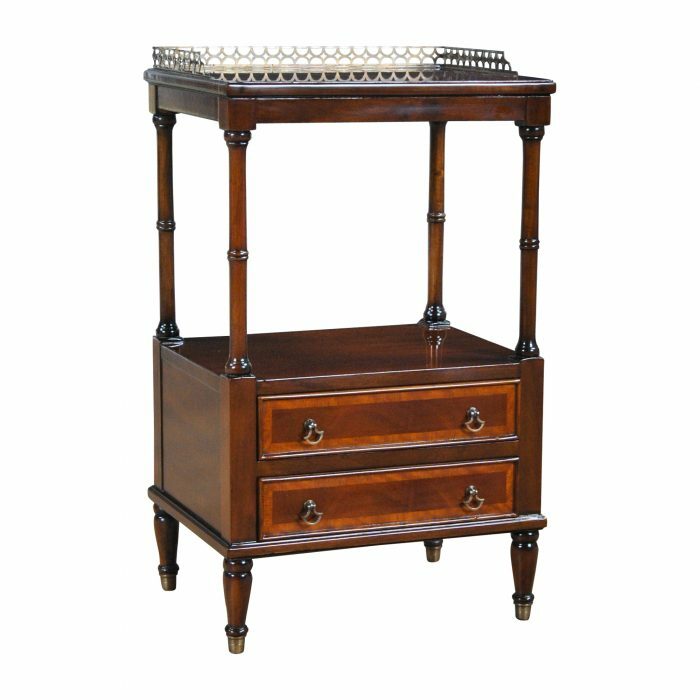 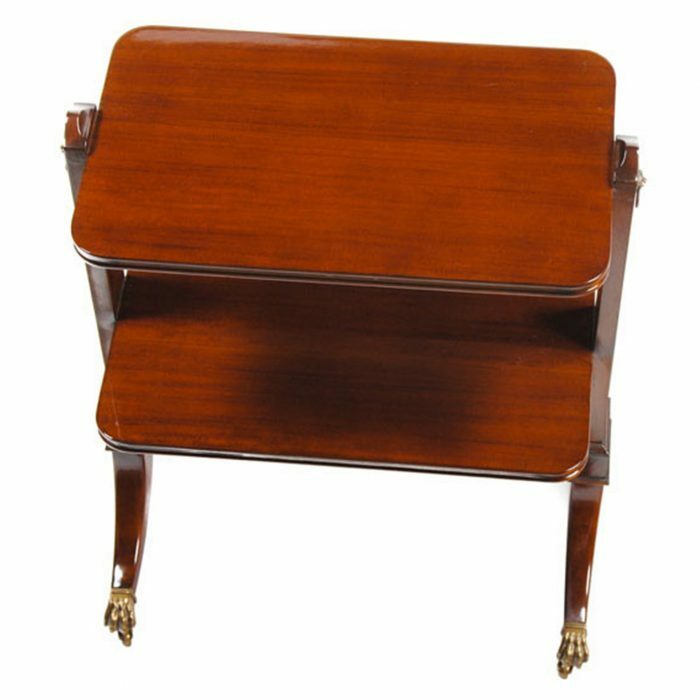 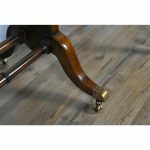 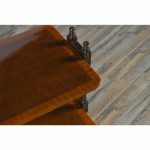 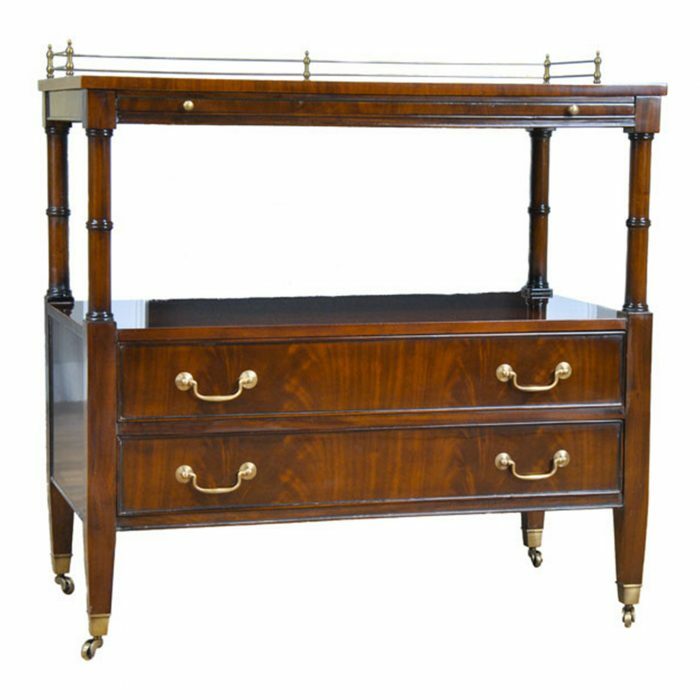 Resting on solid mahogany tapered legs and solid brass capped feet with wheels the cart can be useful in a number of settings. 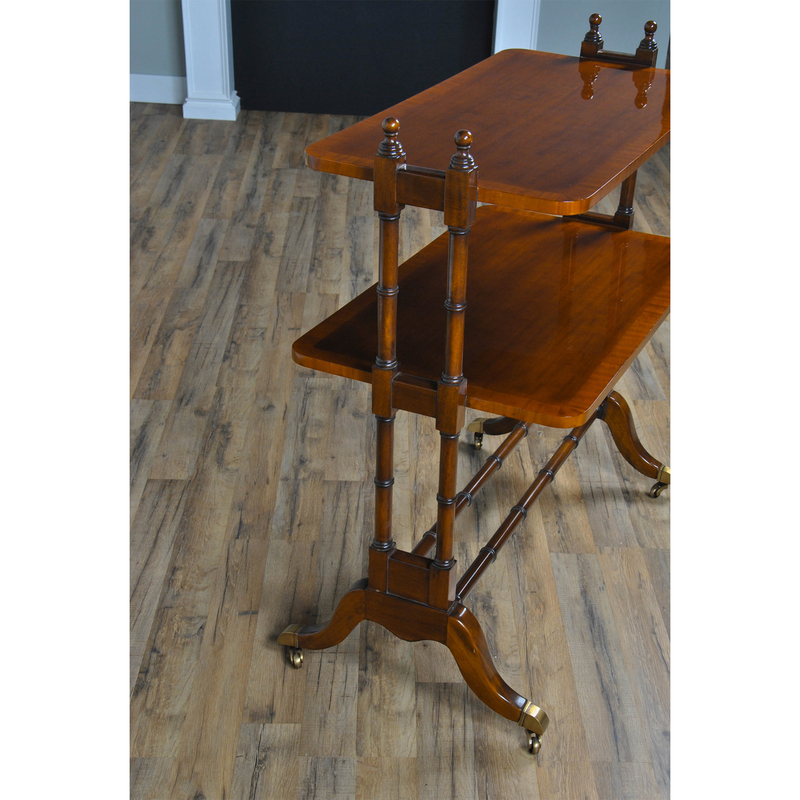 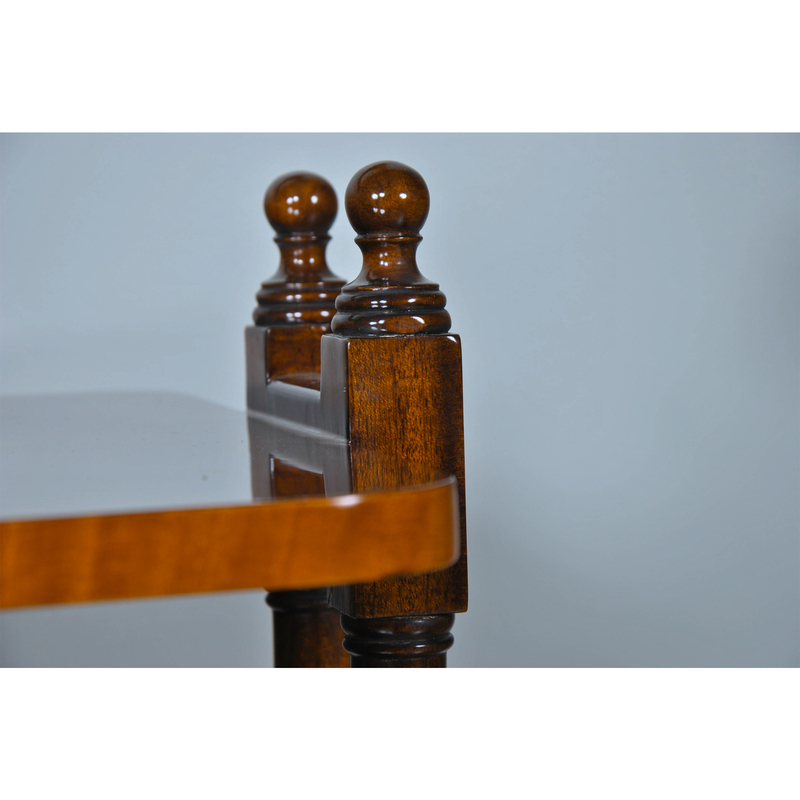 A lovely addition to any space load the cart up with your favorite after dinner beverages and desserts in the dining room, your guests will love it. 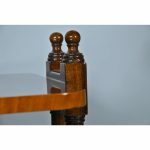 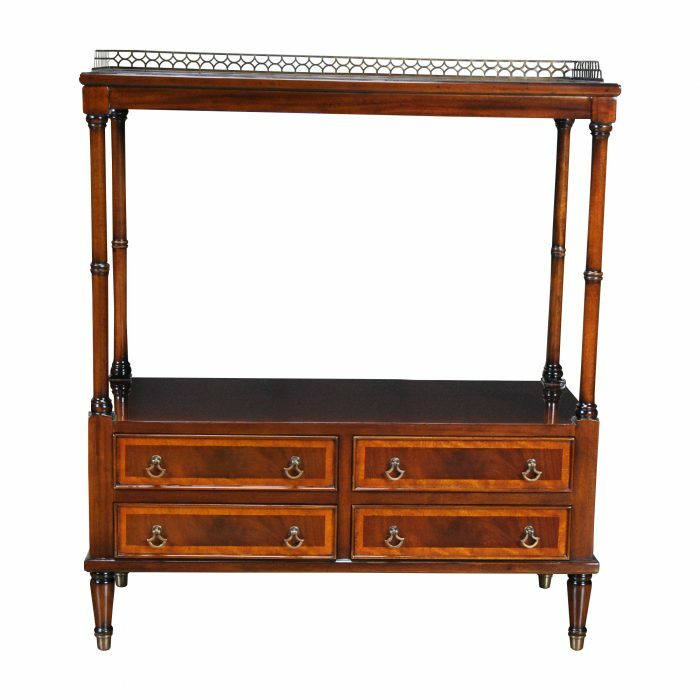 The mahogany field of the display areas are banded in satinwood in order to offer a contrasting look.